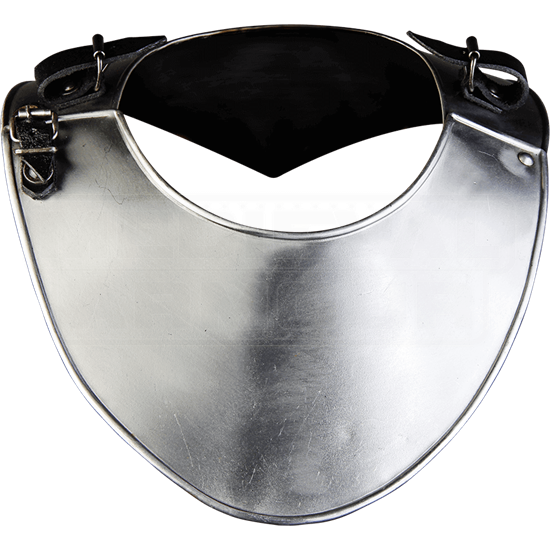 The perfect piece to complete your medieval warrior ensemble, the Steel Elias Gorget offers excellent protection to the neck of the wearer. 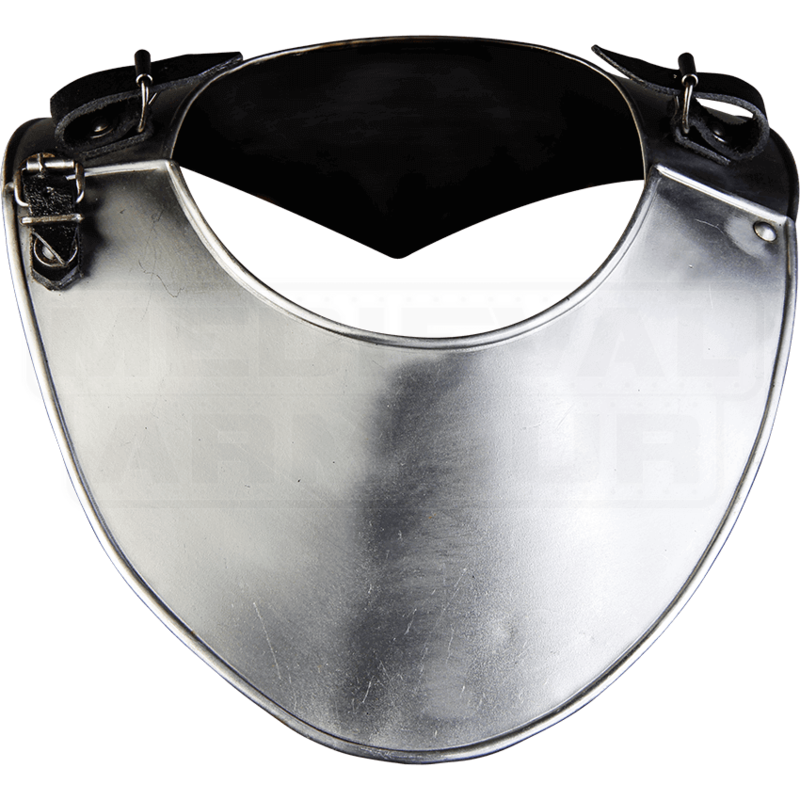 This steel gorget displays a bright metal finish that goes great with other plate armour. Buckles enable shoulder armour like the Large Steel Elias Spaulders (MY100067) or Small Steel Elias Spaulders (MY100073) to be easily linked up with the sides of this metal gorget. We recommend wearing a padded collar or other arming wear with this steel armour for increased comfort. Our Elias armour works great for LARP battles and re-enactments.